Master glass-blowers in the Czech Republic created this set of two mouth-blown, black non-lead crystal tumblers. The glasses are paired with a set of six Whiskey Stones. The stones will chill your favorite dram without diluting it. Chill the stones in the freezer, then drop three into a drink to cool your beverage. The perfect cube shape forms a surface area that allows for a more even chill. Milled from a select type of soapstone at the country's oldest soapstone workshop in Vermont, the Whiskey Stones are perpetually reusable. The stones are non-porous and will not impart any flavor or odor to your drink. After use, simply wash, dry, and re-chill. As soapstone is softer than glass, it won't scratch. Glasses hold up to 8 ounces and are dishwasher safe. 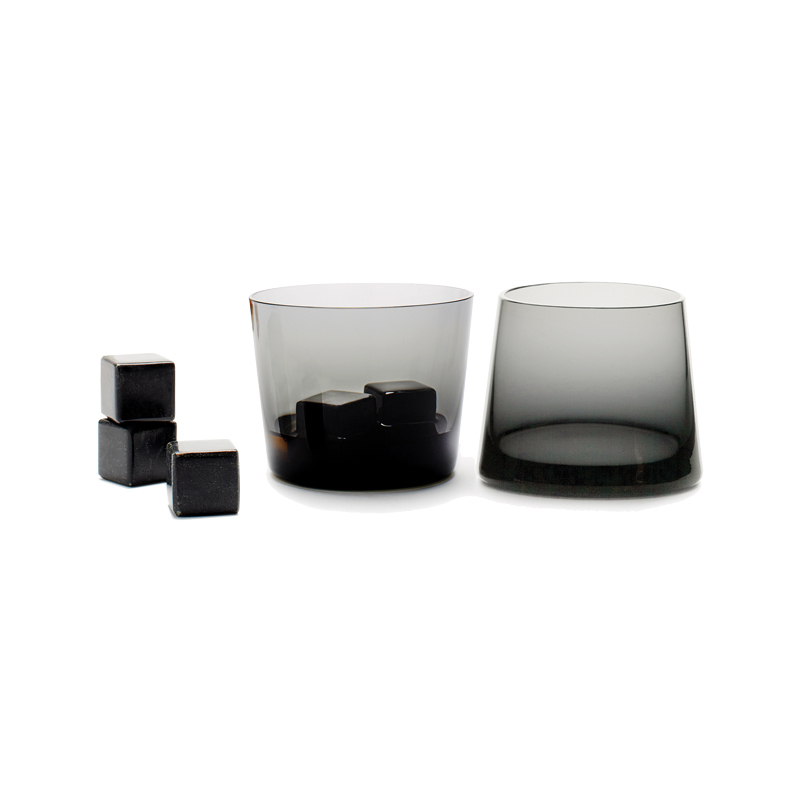 Set includes two black tumblers, six black Whiskey Stones, and a muslin drawstring bag for storing the stones.